Dr. Lucky provides the most thorough examination I've ever received, and does not rush to a hasty judgement regarding diagnosis. I've never dealt with a doctor with such concern for his patients. Thank you Dr. Lucky. Is this Review about Thomas LUCKY helpful to you? Is this Review about Olen Andrew GILES helpful to you? I was recently diagnosed with HPV and he was very caring .. Thank god they did he was gentle with me , honest, and his staff is great. He calm me down and has helped me to learn how to live with my HPV. So far no cancer so I am very blessed. My check ups with him arent painful he gentle really one of the best OBGYN ever. I never trusted a doctor like him very thankful ! Is this Review about Douglas Edwin HERITAGE helpful to you? Dr. Kipp is a my Gynecologist. She is a wonderful doctor. She takes time to listen to concerns of her patient, and I really enjoy that. I'm having a hysterectomy soon, and she made everything so understandable for me, and she made me comfortable with this choice I made. She also has a great sense of humor. Is this Review about Ericka KIPP helpful to you? Dr. King is a caring and compassionate doctor. She always puts her patient's well being first. I highly recommend Dr. King as your ob/gyn doctor. Is this Review about Amy Lynn KING helpful to you? Dr. Galvin has been my OB/GYN for the past 6 yrs. She provided prenatal care and delivered my last child and has seen me since then for various reasons. Dr. Galvin LISTENS and doesn't respond too quickly before all of the concerns are expressed. She then offers a bottom line: here are your choices in how we can proceed with addressing your situation. I have never had to worry about feeling stupid or feeling as though my concerns were not really worth dealing with. If it bothers me, she offers suggestions towards a solution. Is this Review about Mara Celeste GALVIN helpful to you? I have been a patient of Dr. Papasakelariou for about five years, and he is the BEST Ob/Gyn doctor in Houston. He listens to you, he spends time with you, and he is very knowledgable and experienced, especially in the field of gynecologic surgery. If you need surgery, do not go any place else - "Dr. P." is a renowned expert in laparoscopic hysterectomy, hysteroscopy, and alterntives to surgery - and he will do the right thing. He also has a warm personality and a sense of humor. His office staff is equally helpful. Highly recommend! Is this Review about C PAPASAKELARIOU helpful to you? My Dr. performed a total vaginal hysterctomy on me on 10/14/09... She did a wonderful job! Not only is she an excellent MD... but she is caring, takes time with her patients, and really listens to her patient's questions, concerns, etc... I LOVE HER! Is this Review about Sheetal KALE helpful to you? She is a wonderful doctor. She is knowledgeable about her practice. She views her patients as people and takes her time with each one. She really listens to each person and does not play God with her decisions, either. I highly recommend her as a family physician. Is this Review about Laura L KILKENNY helpful to you? Dr Larsen is Amaizing. He spends more than the usual 15 min, he will stay and listen to everything you want to say or ask.He will try anything you suggest, and has the kindest most gentle bed side manners i have ever come in contact with. He also is fluent in spanish for those who need it. Is this Review about Jonathan Lorenzo LARSEN helpful to you? Very competent orthopedic doctor. He is very good at quickly diagnosing the problem and recommending a treatment plan. I received awesome care from him and would recommend him to anyone with joint pain, fractures, dislocations. Is this Review about Clifford Kent BOESE helpful to you? He has always been a good listener. I am a true texan and speak my mind and he has always laid out ALL my options. He has always given 100%. If he isn't sure, he will look it up. And he is up to date on the newest research. He delivered my second child and has performed two surgeries, the last being the complete hysterectomy. I have NEVER regreted that decision. He has ALWAYS made me feel that he was on my side in trying to reach any goal. He has treated me for endometriosis for the last six years. I have been to a few dozen OBGYN's, he is by far the BEST. Is this Review about Paul MURPHREE helpful to you? After 3 visits to different dermatologists, Dr. Pappas was the only one who could identify the rash on my sons belly and thigh as a nickel allergy!! Kudos to Dr. Pappas - my whole family absolutely loves him! Is this Review about Anastasios Angelo PAPPAS helpful to you? Dr Benezra has specialized in infertility with a concentration in reoccurring miscarriages so he offers not only the latest in medical knowledge but compassion as well. He is committed to helping his patients, always taking time to listen and inform. Is this Review about Victor BENEZRA helpful to you? I recommend Dr. Margarett Ellison as a gynecologic oncologist. I am 30 years old and was diagnosed with endometrial cancer. I was actually referred to the doctor she shares an office with. He was on vacation and I am so happy that I scheduled my appointment with Dr. Ellison. She performed a total abdominal hysterectomy on me. Dr. Ellison is wonderful, caring, comforting, and she really helps you to understand everything that is going on with your cancer. Her staff is also amazing, friendly, and helpful! I really appreciate the time she takes just to make sure your questions are answered. She is heaven sent!! If you are in the Atlanta area, she is a wonderful oncologist who works in affiliation with Piedmont Hospital. Is this Review about Margarett C ELLISON helpful to you? LET ME SAY THAT DR ABBAS IS THE BEST DR BY FAR. HE IS BETTER THEN MAYO CLINIC.MY MOTHER IN LAW JUST HAD SURGERY WITH DR ABBAS.SHE WAS IN ANOTHER HOSPITAL AND TRANSFERED TO HHC TO HAVE SURGERY .HE DID HER SURGERY AT 10PM THAT NIGHT.HER DX IS OVARIAN CA .HE EXPLAINED EVERYTHING THAT NIGHT BEFORE SURGERY .SHE HAD LOTS OF FAMILEY THERE THAT NIGHT AND HE LET ALL OF US SEE HER BEFORE SURGERY.AFTER SURGERY HE CAME OUT AND TALKED TO ALL 9 OF US.HE HAS SAVED HER AND MY FAMILEY LIFE.NEXT TO GOD HIS IS THE BEST.HIS STAFF IS THE BEST ,KAY,BOBBI, KRIS .THEY WILL DO WHAT EVER THEY CAN FOR YOU. GREAT JOB!!!!!!!!!!!!!!!!!!!!!!!!!!!!! Is this Review about Fouad Mahmouad ABBAS helpful to you? Dr Handal is just simply AWESOME!!!! Is this Review about Richard G HANDAL helpful to you? 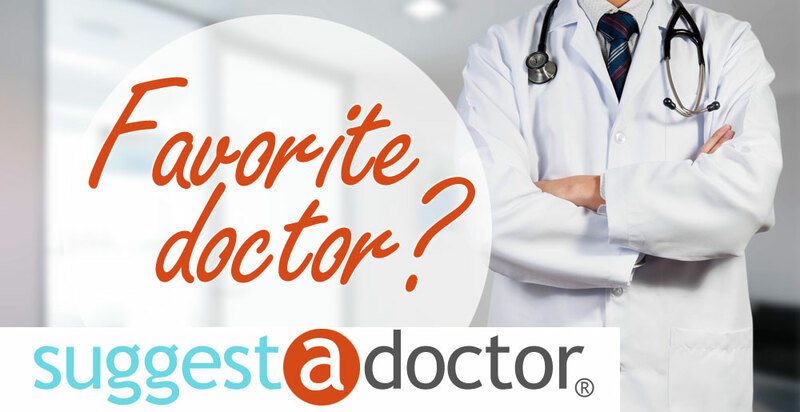 Dr. Ritter is the only ob-gyn that has ever listened and persisted until he found the cause of my issues. He delivered my daughter, and has taken extraordianary care of me. Dr Ritter is a specialist(in knowledge if not in title) in in fertility, and the best surgeon ive ever dealt with. Through miscarriage, fibroids, and endometriosis Dr. Ritter has held my hand through it all. Thank You Dr. Jack!! Is this Review about Jack RITTER helpful to you? Dr. Cavallo is the best Dr.! Here specializes in Women's care and is very compassionate as well as educated. He combines modern, western medicine with natural medicine and truly cares about what he does. He has talked of opening his own Women's Care Center and I hope he does so that Women of Michiana can finally get the well- rounded care they deserve from OB care to diet advisors to hormone guru's. Is this Review about Uthman CAVALLO helpful to you? Dr. Mathew and Dana have done a great job with helping me get it all together. I'm glad to have found them. Is this Review about Elsa MATHEW helpful to you?